Meizu has launched three smartphones with different ranges recently. They are Meizu C9, Meizu M6T and Meizu 16TH mobile phones. The price ranges differently and Meizu C9 starts from INR 4,999 (introduction price) and Meizu 16TH starts from 39,999 for 8GB RAM / 128GB storage. The brand, Meizu has earlier released popular phones viz. Meizu Note 8, Meizu 16X, Meizu 16 Plus, Meizu M6 and Meizu Pro 7 phones etc. 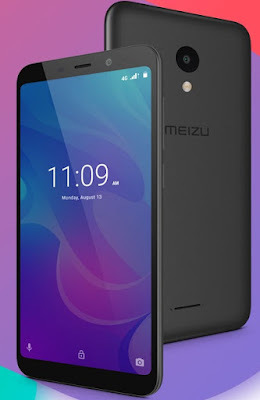 If you are looking for cheapest smartphone Meizu C9 key features, technical specifications, price, review, first impression, unboxing, comparison and hands-on etc. then you could find some of them over here. The budget phone is powered by Unisoc (formerly Spreadtrum) SC9832E(L+G only) quad core 1.3GHz A53 processor and paired with 2GB of RAM for better and smooth function. The internal storage of the cell phone is 16GB with an expandable memory option of up to 128GB. Meizu C9 gadget runs with the latest Android Oreo operating system. The display of the mobile phone is 5.45-inches IGZO capacitive touchscreen. With regards to its camera, the gadget comes with 13 megapixel rear camera and 8 megapixel front shooter. You can check Meizu C9 phone's specs and price detail below. Meizu C9 price: INR 5,999 whereas introduction price is 4,999 from Amazon India. Tips: If you are looking for the cheap and best smartphones then this is for you.